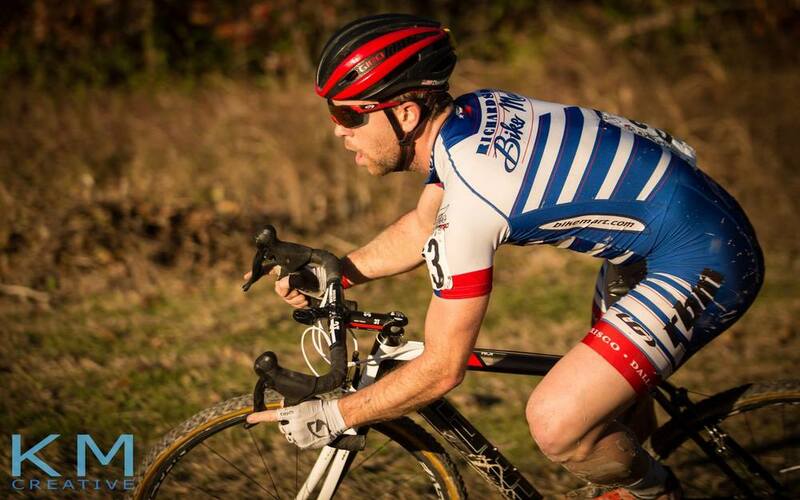 The last race of the Southern Cross Series, the Highlander CX Cup, took us down to Waco, TX this past weekend. It is by far, one of the most punishing courses I’ve raced all year. 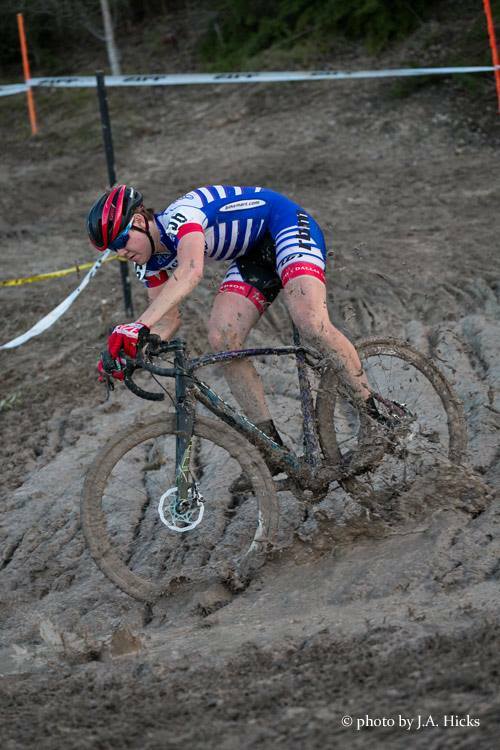 The event was one of my first cross races after moving to Texas and I was looking forward to seeing what would be in store for the UCI edition in 2015. Saturday – Hope you packed your climbing legs! The RBMcx crew got up nice and early to help our teammates our in the pits. Chris started the day with a win and there were some more great results from our Matrix/RBM teammates. After our pit crew duties were over, I got out on the course to check everything out. I’m not sure how they did it, but I think the Texas CX Syndicate was able to use every inch of elevation gain at it’s disposal (please don’t read that as a challenge!). The opening half of the lap took the riders through some tight off-cambers and all the way down to the lowest part of the course. From there it was all uphill as your cover two stair run-ups and another steep climb to the parking lot before letting it rip back down to the lower field. Though all of the courses in the Southern Cross Series have had good technical features, the course in Waco was by far the most challenging and grueling of the bunch. Again my call-up streak continued and I took my spot on the 4th row of the start grid. In the grand scheme of things, it wasn’t that bad given that the field size was small, but knowing that I would have to battle from the back of the field was putting a strain on my mental preparation. The race started and we barreled down the opening loop and into the course. Given the difficulty of the course, I knew this would be a race of attrition, and I was a bit tentative off the start not gaining any spots in the prologue lap. The technical off-camber in the trees became a bottleneck and I elected to run this section on the first lap, pushing my way up a few positions in the order. The first time past the pits, Chris, Barry and the gang let me know I was in 22nd. So I had a bit more work to do. I kept pushing myself where I could, trying to ride the hard parts of the course as hard as I could. This strategy meant that I was basically going hard for the entire lap every time around. The laps ticked on and I was able to pick up a few more spots. Ahead of me, there were a few riders that suffered some mechanicals and others that dropped out of the race. It meant a few more spots for me and I was closer to the top 15. Rob and I eventually joined up and rode together for a few laps, trading pulls at the front and trying to reel in more riders. Hitting the steep downhill back to the pits, Rob ripped it up leaving me in the dust. His technical skills were definitely up to the task of tackling this challenging course. As we came into the final lap, I was able to pick up one more spot and our gracious official relieved us of any more suffering. I finished one lap down to the winner Jaime Driscoll, who set the course and the field on fire. It wasn’t my best ride of the year, but I was content to grab a few more ProCX points and not suffer any mechanicals. The course took it’s toll though and I’m pretty sure we were all in bed by 9pm that night. I was able to sleep in a bit on Sunday and relax in the morning before the race. I rocked up to the course and took a little spin to check out the changes. There were no drastic differences from Saturday’s course, but the effort required would be just as much, if not more than the day before. I was on the third row today and after Saturday’s poor start, I knew that I needed to go a little bit faster off the line. I was a bit more aggressive, but as we entered the course for the first full lap, I was still a bit farther back than I wanted to be. Again, I dolled out my effort as best as I could, trying not to push too far into the red too early. I quickly found myself in a group fighting for a spot in the top 10 to 15. Rob and Chris Drummond (SPCX p/b RK Black) went ahead after fellow SPCX rider, Jake Lasley who was in 10th. At the time I knew it was a good move, but my internal engine governor told me to ride steady. Unfortunately, my lack of risk did not come with a big reward and Rob and Chris continued to ride strong, increasing the gap they had over me. Rob tore it up this weekend and grabbed his first UCI point! Watching the race in front of me, I could see Rob trading blows with Chris, until Rob had a bit of a gap and began closing in on Jake. My race against myself was not moving me forward or backwards and I remained in 14th place. I followed along over the loud speaker and tried to go a bit harder to close the gap to 13th in the last couple laps, but I didn’t have it in me to go overboard and settled for a consistent 14th place. In front of me, Rob had closed the gap to Jake and in the last lap was able to secure 10th place and that elusive UCI point. Congrats Rob! I had some mixed emotions after the race. I was satisfied that I finished the race in the top 15 and didn’t have any mechanical troubles. My bikes ran great and Barry, Chris, Bob & Luke did an awesome job in the pits! Thanks guys! But at the same time, I wanted and expected more from myself. Not just for this race but for the entire series, really. Whether it was the course, my preparation, my head, or just my legs, I didn’t have the gas to go the distance this weekend. Hopefully, I’ll get back on track in the coming weeks and be in top shape for Nationals in Asheville! Thank you so so much to the Texas Cross Syndicate, the Oklahoma crews and all those who made the racing possible over the last few weeks! Having three weekends of back-to-back UCI races right in our backyard is something really special and I hope that the sport will continue to grow here in the region. To all the pros that came from far and wide to race, thank you for upping the level and don’t forget to tell all your friends about our little racing scene down south!